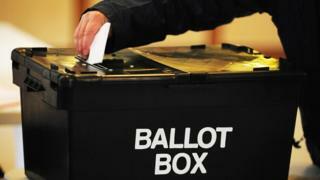 Polling stations across Nottinghamshire have opened for the county council elections. Registered voters will be able to cast their ballots from 07:00 to 22:00 BST. Boundary changes mean the number of councillors elected will drop from 67 to 66. The election count will start on Friday and the results will be published on the council's website from around noon. There is also a city council by-election for the Sherwood ward.